My son and I love blue cheese but rarely eat it because my husband and daughter aren’t big fans. We recently went to dinner at a friend’s house and I was asked to bring a salad. Luckily, there are a few blue cheese lovers in their house so I decided to make this blue cheese vinaigrette from a recipe I found on Epicurious. It was so quick and easy to throw together and was tangy and flavorful with nice chunks of blue cheese. I served this blue cheese vinaigrette over a simple romaine lettuce salad with tomatoes, red onion, and bacon bits. 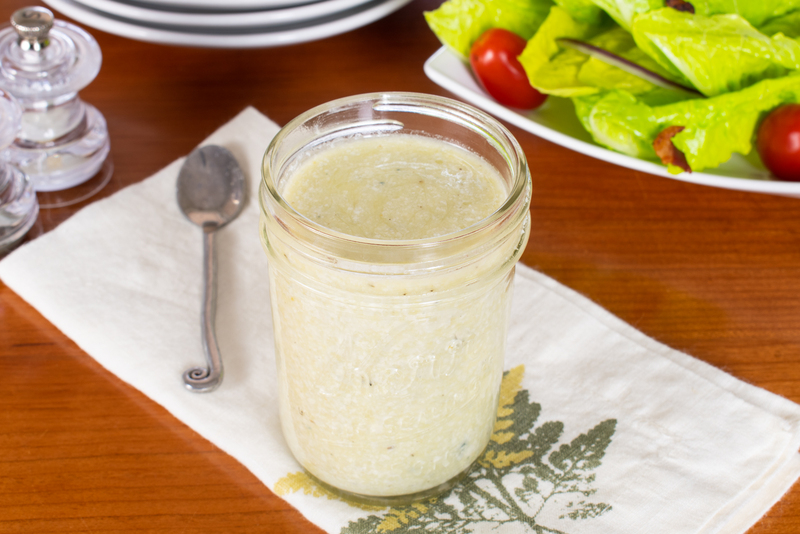 My son and I really loved this dressing and so did our friends who tried it.